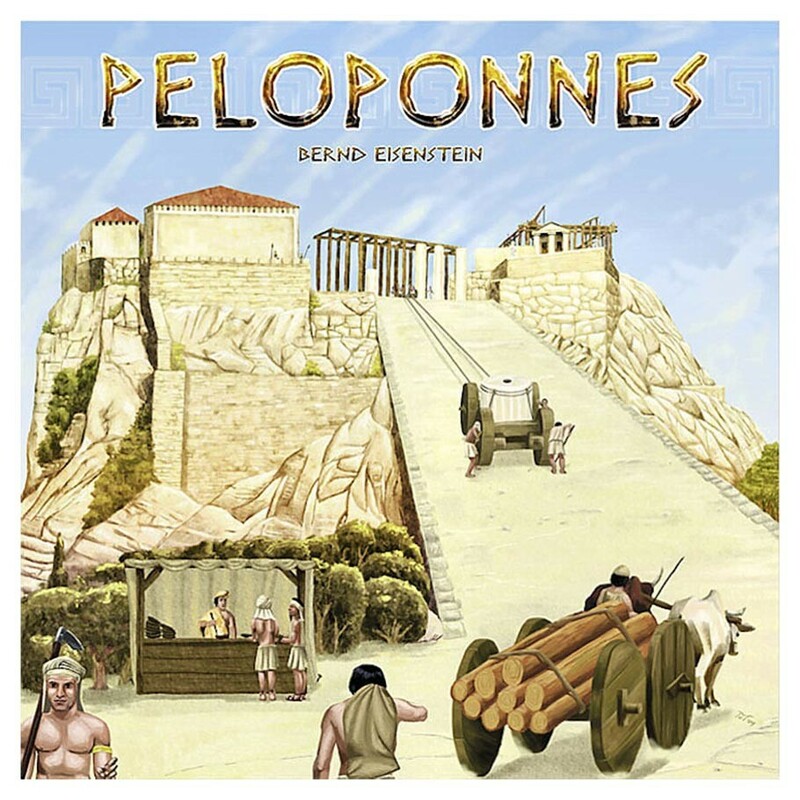 In Peloponnes, each player is trying to establish one of seven different civilizations in 1,000 BC. To do this, they must erect buildings and annex land to be developed, thereby increasing both their wealth and their population. Your goal: Nothing less than being the most dominant civilization on the peninsula at the start of a new millennium. To do this, you'll bid for tiles each round, with one chance to overbid others or bid on a different tile. After players take income from their holdings, two disaster tiles are revealed; if the third instance of a particular disaster is revealed, all players must suffer from it -- although some buildings will shield you from these effects. All land and building tiles provide victory points, and each inhabitant is worth three victory points as well. Two complications, however: First, you must feed your civilization's inhabitants twice during the game and once again at game's end or else see them starve. Second, your score at the end of the game is the lower total of your population points and your land/building points.